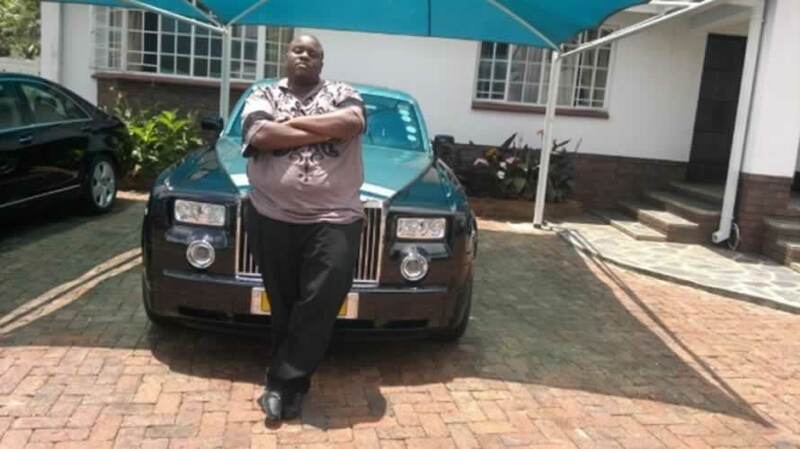 ‘Webosphere’ is on cloud 9, celebrating the arrest and bail denial of self knighted Wicknell Chavhayo, who is facing charges of defrauding $5 million from Zimbabwe Power Company (ZPC) in October 2015. Mean and pompous sentiments Chivayo regularly share on his social media profiles made a bounty of local Internet users fall out of love with him. So not liked, such that, even when he posts clean unoffensive material on his accounts, some people are ever waiting to pick negative content. Now, after a long time of verbal lashing, wishes and hopes for misfortune to befall the businessman, many feel justice has finally been done on their behalf. These are some of the gathered reactions on hearing the news Chivayo’s arrest. graeme_mrgeeI never knew God was hiring judges? nigey_tYah dai chakanyimwa bail next court session chonzi further remand, next time ZPS yoti hatina fuel to transport prisoners. Apfidze sterek . My old man always say Chezia hachipfachurwe mwanangu I understand him now, tazviona sure if t was hard work earned money he wouldn’t be in this position. Plus shiri ine muririro wayo haiurege akapusa sterek chivharo. He is a convicted fellow kah uyu 2years dzakambo rohwa hna kudzinzwa dai vakamunama kna6 odzoka John aGrade1. Achifarisa achituka Temba mliswa hoho kkkk ezvo . Aghh ini ndikufara ini kubva chasungwa magesty haana kuzomboenda in my hood. veegav2159Kutadza kutenga zvinogadzira dumbu wakutenga bhustu dzausingaoni becoz of that pregnancy ???????? ashantyshantel??????? ?haaa pavanobuda muchitorongo vanenge vapera mafuta ese awo…. dannai_moyo@lovelylife_of_king_yaya He’s now in jail what are you going to do since we all know you married & had his baby for the stolen money?